Consider the camp stove, the jeep, your trusty roll of duct tape. They all have something in common. As do The Swiss Army Knife, the hydration pack and the emergency satellite communicator. They all come from a tradition of outdoor gear built around rugged, no-nonsense utility. And they all share military origins. 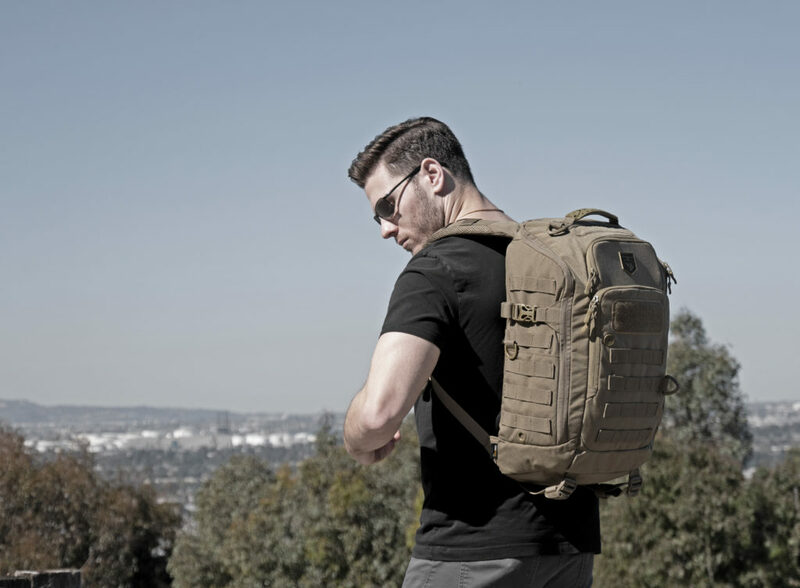 Cannae Pro Gear, based in southern California, makes packs for the outdoors inspired by the best elements of timeless military designs – packs that are tough enough to do anything. Outdoor adventure is a whole different ballgame than forced marches, but there are a few good reasons to embrace this heritage. 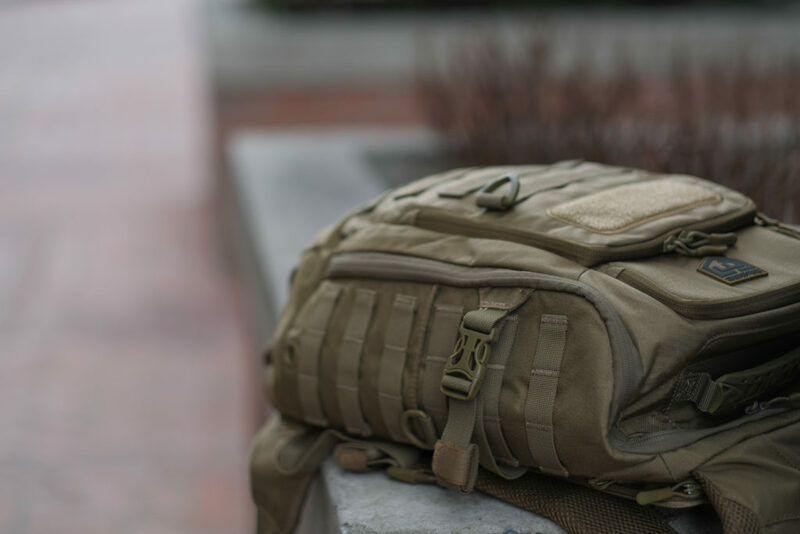 A soldier’s duties don’t stop in the field, and Cannae’s packs, like the Legion Day Pack, incorporate a full range of organization features that don’t slow it down on the trail, but prove indispensable for everyday logistics. 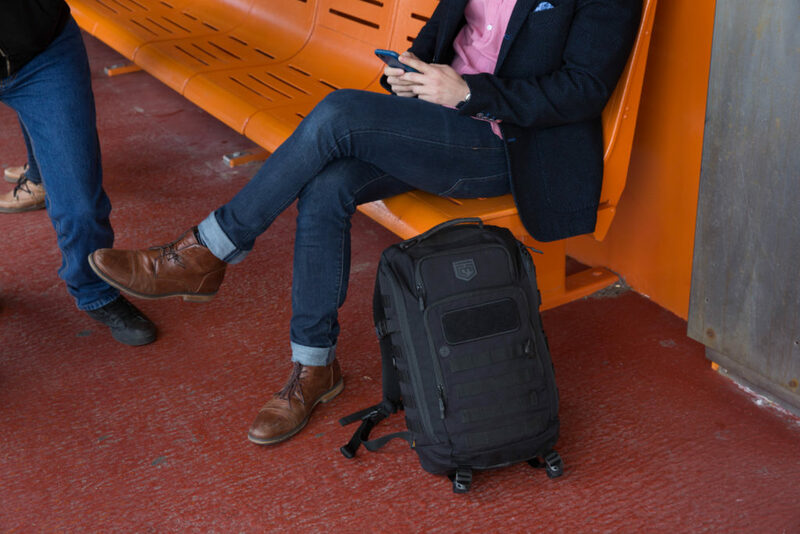 The Legion’s heavily padded laptop sleeve also boosts carry comfort when loads get heavy, making it a great choice for a full day’s worth of camping, climbing or video gear. 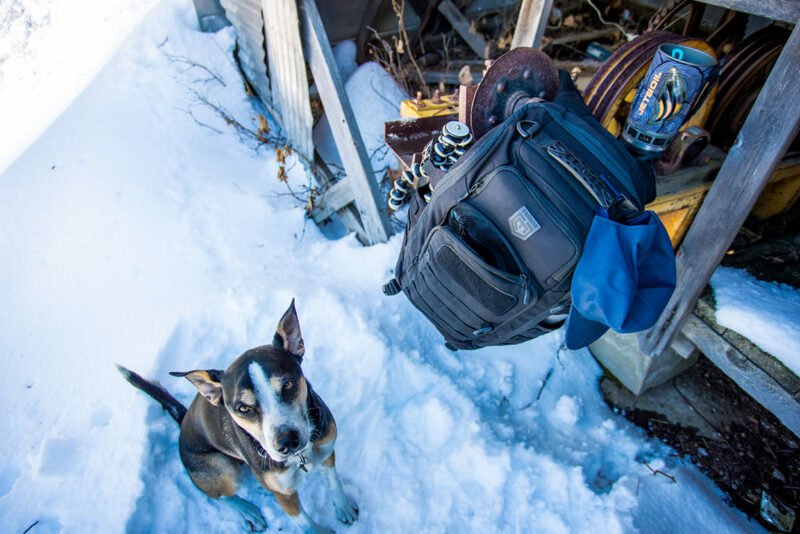 The result is an expedition-quality pack that pulls off daily laptop duty with aplomb. Take a look at the strange array of nylon loops and daisy chains on the face of typical hiking pack. Literally no one knows what all of them are for. This problem has been solved in the military by a standardized system called MOLLE: Modular Lightweight Load-carrying Equipment. 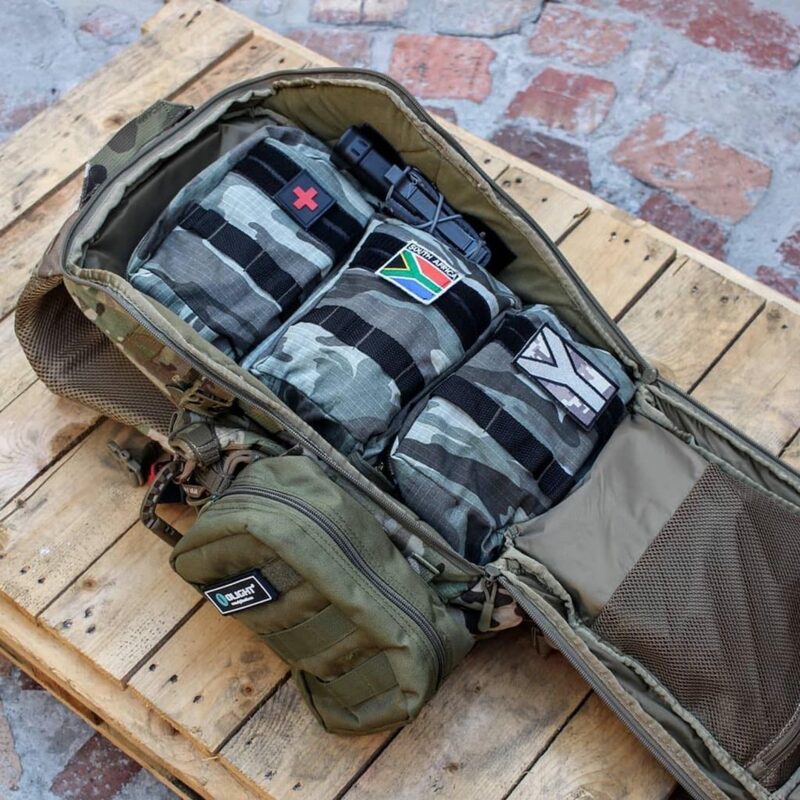 Those strategically spaced rows of webbing allow a pack to be customized with MOLLE Pouches to carry any and all manner of gear, greatly increasing its potential capacity. MOLLE pouches and accessories come in all shapes and sizes and are widely available. Cannae’s own EDC 9×6 Storage Pouch makes a great camp kitchen. The Crumina 3×1 is perfect for a multitool or flashlight. Developed to withstand non-stop travel in the world’s harshest conditions, Cannae’s pack fabric of choice is 500D Cordura® Nylon. 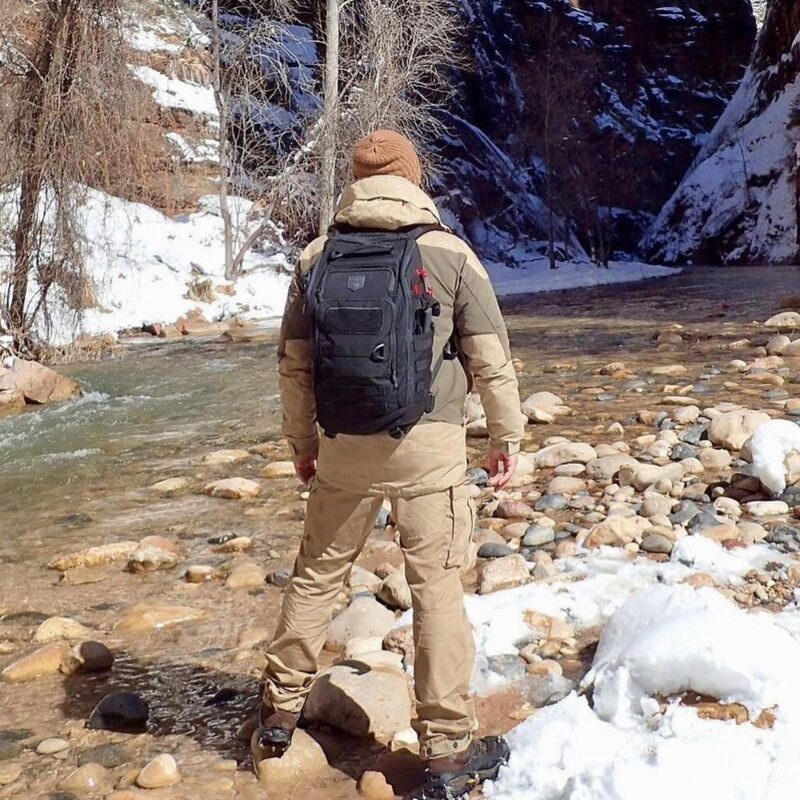 Cordura® came from … you guessed it, the military, who has a harsher crucible of gear testing and design than #vanlife – even on its toughest days. Along with YKK® zippers and Duraflex® buckles, Cannae packs like the Legion Day Pack weigh a few ounces more than their disposable ultralight contemporaries, but they are guaranteed to last a lifetime. 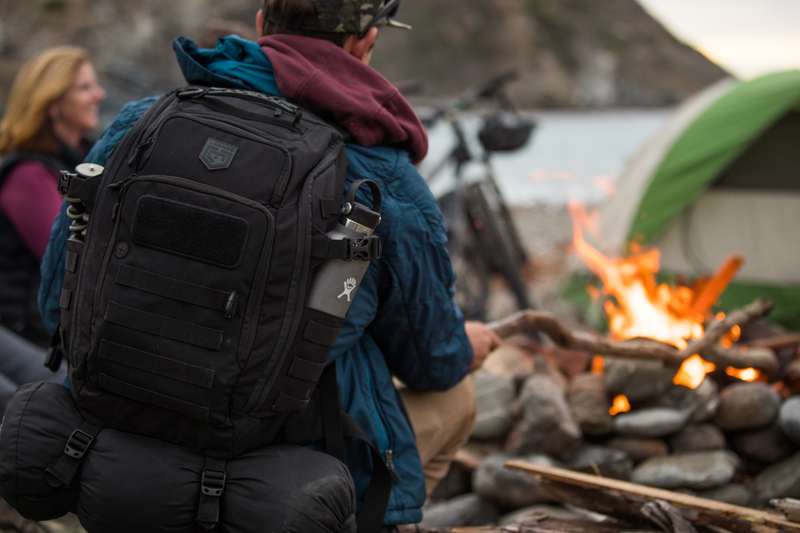 By embracing the evolution of outdoor gear, Cannae Pro Gear builds packs tough enough for any adventure and refined enough to use every day. Cannae backs is gear with a lifetime warranty and prides itself on customer service. Drop them a line at Cannae@mcdgear.com or call them up on the phone and get a real person to help with all your gear needs, five days a week.